SightCity Limited is an eye care service provider. It is fully registered with the Company Affairs Commission (CAC), Nigeria, with DR. ELOCHUKWU B. ONYEJEMEZI as the CEO. 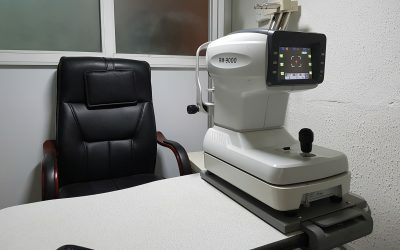 Sightcity is an eye clinic in Lagos Nigeria, with seasoned and experienced team of eye doctors, operating with the best modern and computerized ophthalmic equipment. As your need is our service, we are driven by the passion of our profession, to satisfy our patients with the best standard of eye health practice obtainable in the international health industry. In Sightcity eye clinic, our services range from clinical diagnosis of ocular problems, treatment of ocular problems with the use of drugs, eye glasses, contact lenses and visual aids, coordination of ocular surgeries (both international and local), orthoptic training, comprehensive eye examination and screening (including glaucoma screening), staff /corporate/industrial screening and supply of optical equipment and accessories. These services are to be rendered with the best possible up-to-date equipment and in a decent environment. Our focus from inception is to have a dynamic eye health company made up of vibrant eye professionals that will deliver a very high standard of health practice at the same time dynamic enough to operate beyond socio-cultural boundaries. Quality eye care delivery through customer care service. Being and bringing out the best in eye care service.